With the summer almost over and autumn/winter coming it means that we here in California will finally have things to take photos of, without having to fly. I’m eagerly awaiting some new photos. In the meantime I’ll post some less interesting but still cute photos that I’ve taken during the summer. A buddy of mine went to Tanzania, Africa and spent a couple days on a Safari. When he came back he had some amazing wildlife photos. I had never wanted to go to Africa but the photos he took changed my mind! On the other hand, I didn’t want to have to fly all the way to Africa. Somehow I found out that there was an African Safari right here in Northern California — in Sonoma to be exact, right in the heart of wine country! Safari West is a wildlife preserve on several hundred acres of land and features tons of animals (including giraffes, cheetah, antelope, rhino’s, and more) and is complete with 1950’s Dodge Safari trucks! 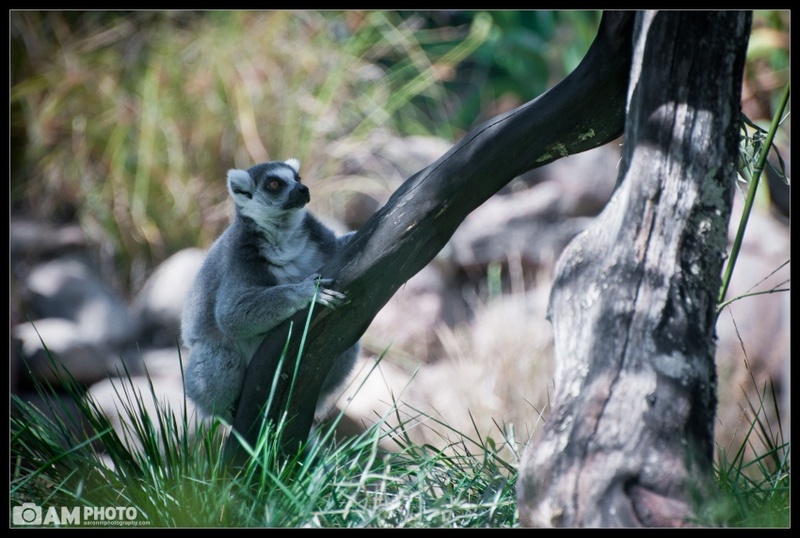 I snapped this lemur at the beginning of the tour, before we hopped on the safari truck.